The MG GS is available on 0% APR representative. So if you want to spread the cost of buying your new car over a longer period, your pocket won't take the hit on interest charges. 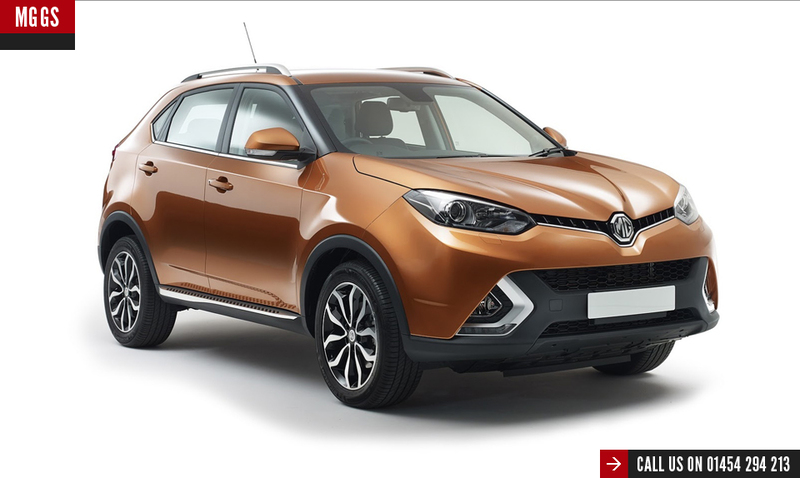 Your adventure is only just beginning with the MG GS's striking looks and elevated driving position, plus our first SUV is packed with the latest technology and really represents incredible value for money. For further information or for a tailored quote, please contact us. Terms and Conditions apply on all offers, please see the bottom of the page. three options: 1) Pay the optional final payment to own the vehicle, 2) Return the vehicle, or 3) Replace: Part Exchange the vehicle where equity is available. 0% APR offer excludes GS Explore. Offer until 30th June 2019. A minimum customer deposit of 20% applies to all vehicles. Offer subject to availability on selected models at participating dealers only. Conditional Sale. Finance by MG Financial Services, CF15 7YT. Subject to status, availability and terms and conditions. Applicants must be 18 or over. Prices are correct at time of being published and are subject to change without notice. CF15 7YT. 24-48 month term available. Deposit Contribution only available when vehicle financed through MG Financial Services. At the end of the agreement there are 3 options: 1) Pay the optional final payment to own the vehicle, 2) Return the vehicle, or 3) Part Exchange the vehicle where equity is available. Orders or registrations from 1st April 2019 to 30th April 2019.